An experience which I will remember for the rest of my life … Thank you so much. Very warm and friendly. Loved the vibrations and chanting. I have been introduced to new rituals and practice, which I know will help me in the future. Thank you! 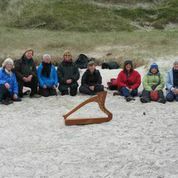 The harp meditation and yoga chant within the heart of the cave, were magical. 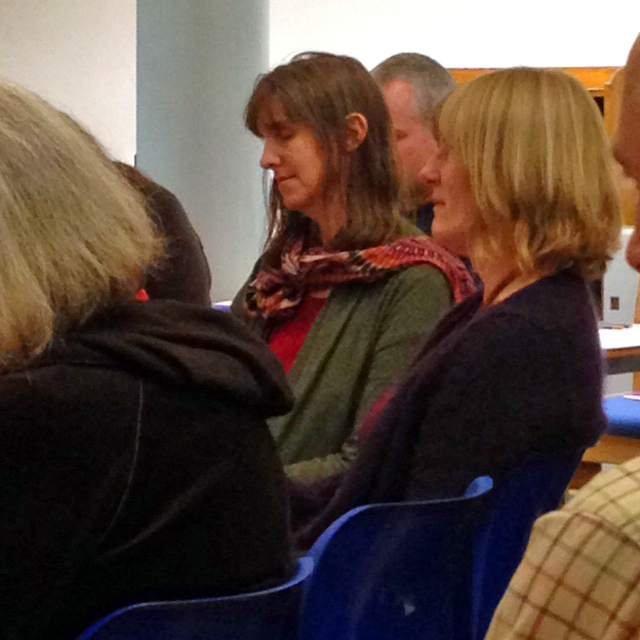 There was a lovely sense of community, sitting together in the candlelit cave and the silence of the earth. I loved the ‘oneness’ of it all – thank you to you both, for all the effort you’ve put into making this such a special experience. Wonderful location, I felt totally lost in time. Enjoyed the chanting and feeling part of the group. The harp playing was lovely. The sharing afterwards was a joy, too .. This was a totally unique experience. I can't wait until the next one! 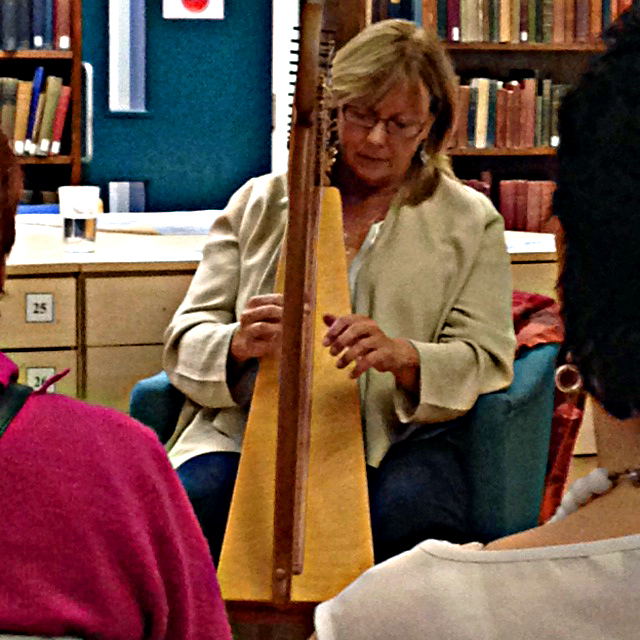 "Julie Darling infused the local studies library in Keighley with an atmosphere of calm and contemplation with her harp music and words. 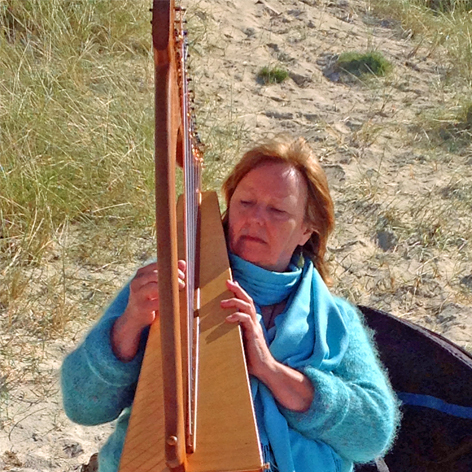 Julie took us, the audience, to new worlds and new thoughts and feelings with her gentle speaking and accomplished harp playing - weaving the two together in a wondrous dance of sound. 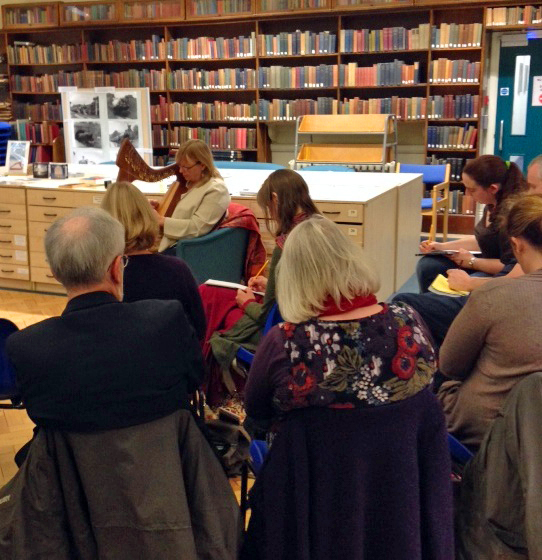 We were given the opportunity to respond in words or pictures to Julie's playing and to share what we had created. A wonderful thought provoking afternoon." 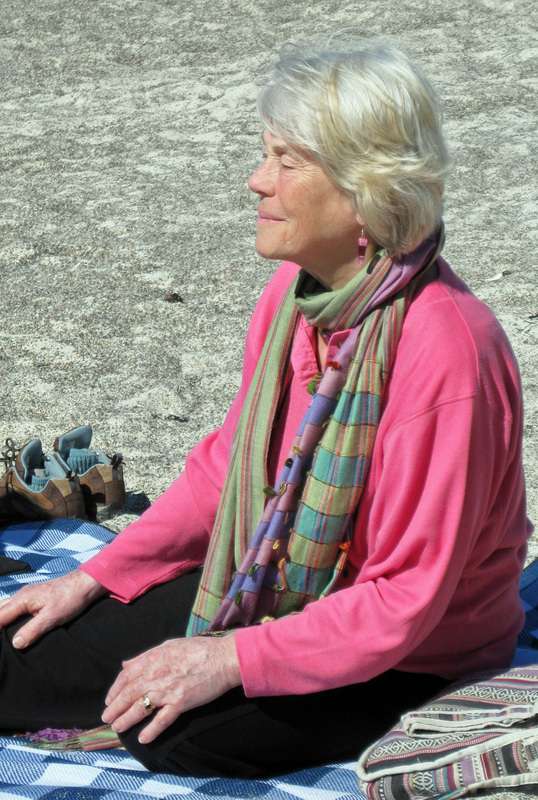 "When Julie began to play her harp so beautifully and to introduce her theme for springtime, new beginnings, increasing light, both in our minds and in the lengthening days, all in celebration of the Spring Equinox, we all settled easily into this most welcome time of meditation. Outside, a blackbird sang, and the sound of the gill gently wandering down its way to the river, and the warm spring sunshine filtering in through the long windows, made the session a truly remarkable and memorable experience, all so uniquely accompanied by Julie's Celtic prayers, thoughts, and gentle harp music. 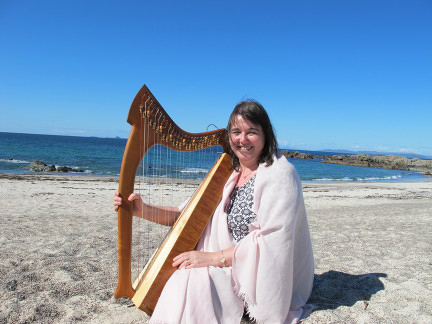 This was a very special experience - a delightful mixture of harp interpretations, excerpts from Carmina Gadelica, and Julie’s own very special and unique input." 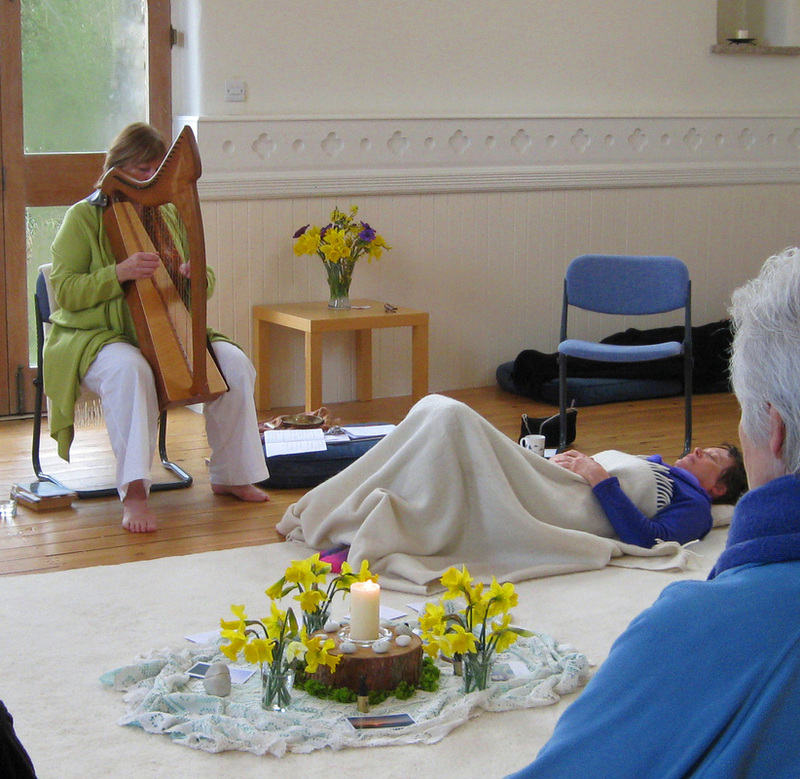 Review by Virginia Clucas, of a Spiritual Harp Event for the Spring Equinox at The Meditation Centre, Dent. 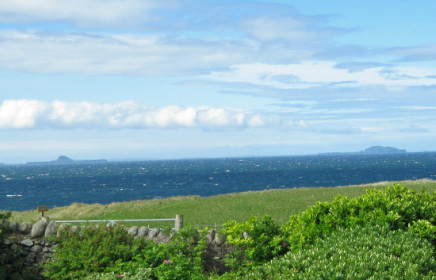 "Thank you Julie, words cannot express the profound happiness I felt when opening your parcel. Am awe inspired with the love and care and beauty of your products. Feel you have sent me Iona! Heavenly." 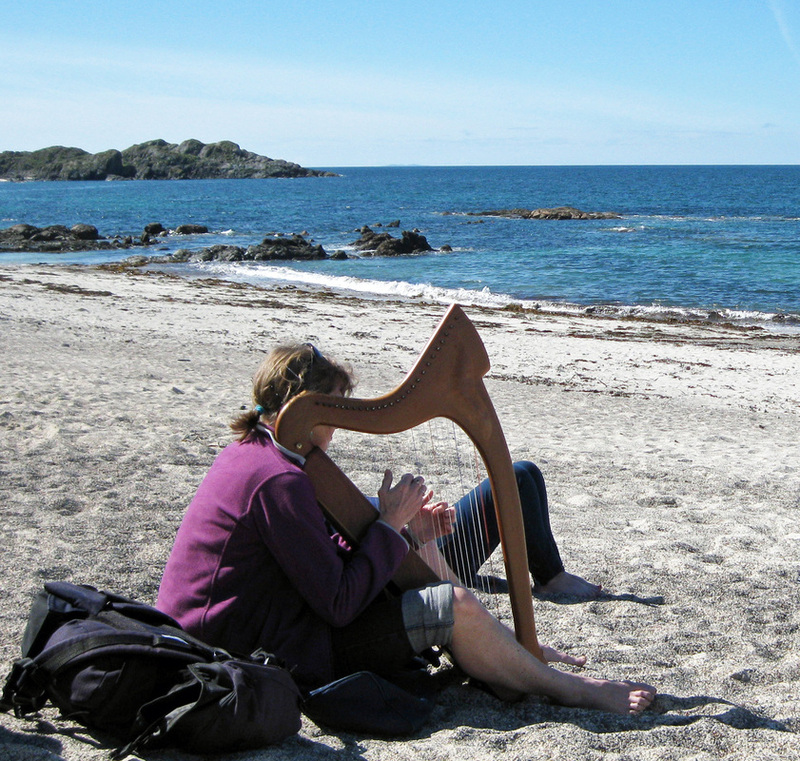 " I love your Viriditas CD – it is a superb idea infusing sacred place and time with the music. I find it both soothing and inspiring." "Thank you for the gift of your music which was very moving and memorable." "A gorgeous box of your beautiful products arrived this morning. The mist I have tried already and it is very soft and light - a really gracious feminine essence which is delightful. The smell is lovely!" ......and that beautiful bag, I feel like I am really working with magic now!" 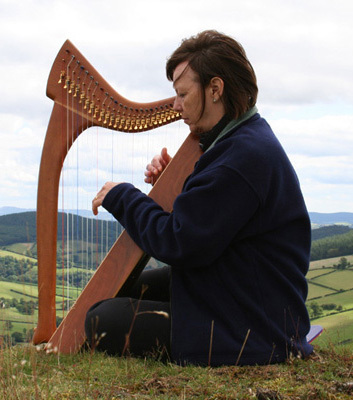 " Never underestimate the power of your Harp Essences.They are some of the most powerful vibrational essences I have ever used."